5 Online QR Code Generators to Create Your QR Code - 5FOUND ! You are probably seeing a lot QR codes right now on magazines, banners, business Cards, T shirts, entrances of conventions, cinema etc but you may have no idea what it is and what you can do with it.Well, like Barcode, these square images in black and white called QR Code are used to encode and store data like URLs, contact info, numbers, email address etc and people can quickly decode and obtain the data by scanning the code with a smart phone, which must have a built-in camera for scanning and an app installed to read QR code. This is very useful since you save a lot time and resources giving away business cards, brochures etc and also people can obtain and store your information more conveniently with their smart phones.You know Facebook even placing a 42 foot QR code on the roof of one of their buildings so If you still do not have a QR code for your business, for your blog or anything, you should get one with the following QR code generators. Goqr.me allows you to generate QR codes for text, URLs, contacts, SMS and business cards. You can choose different sizes for your QR code. Other options include background color, data pixel color, margins, encoding etc. 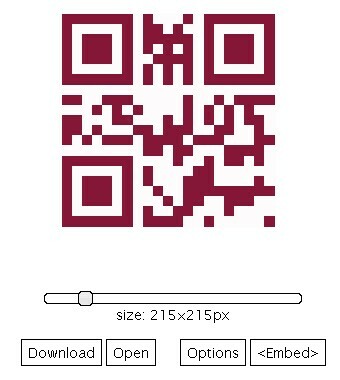 After that, you can download your QR Code or embed it on your blog or websites. The website is very clean and ad free without registration. 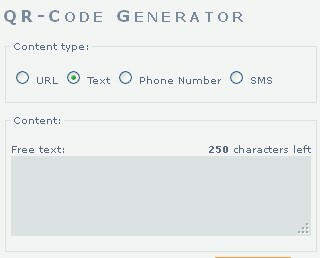 This free tool from delivr.com lets you create QR codes for URLS, tweets, foursquare check-ins, iPhone Apps as well as others. Other options include error correction, margins, sizes (up to 4), colors etc.After that you can download your QR code in PNG, EPS or SVG. Kaywa QR code generator allows you to generate QR codes for URLs, text, phone numbers and SMS up to 4 sizes. The characters for text are limited to 250 and for SMS messages limited to 160. No registration is required. QR Stuff comes with more options and allows you to generate QR code for a lot things like website URLs, Google Maps locations, text, SMS messages, email address, Vcards and social media profiles like Facebook, Twitter, Foursquare etc. You can also choose the data pixel color or the foreground color, but you can not specify the image size and if you do want to and get one with high resolution you will have to pay and subscribe their service. 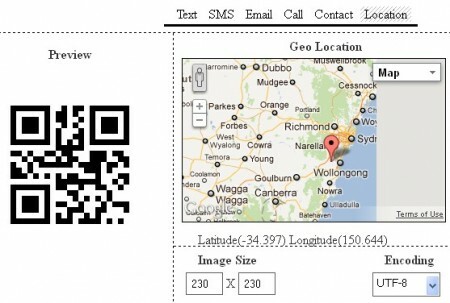 This tool from onlineqrlab.com allows you to embed text, SMS messages, email address, phone number, contact information or a geographical location using Google Maps in a QR code. You can specify any size you like. 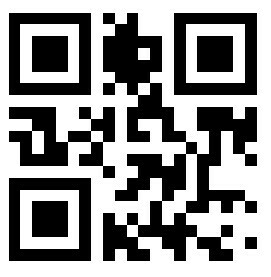 Below is a QR Code created with goqr.me for our blog URL. If your smart phone has an QR code scanning app installed, you can decode the following QR code and visit our blog by scanning it.